Unfortunately, there is no sure-fire way to find out if someone is blocking your calls on their iPhone outside of getting your hands on the phone and checking the list of blocked numbers, but there are some definite signs that can hint they have you blocked. If your calls have gone unanswered and your texts never get a reply, it's best to just ask them outright: Did you block me on your phone? There's a chance they did and didn't mean to. If you are uncomfortable asking them if they've blocked you then you can try these ideas. How Many Rings Do You Get When You Call? The biggest indicator of a blocked call is a single ring that goes to voice mail. But this doesn't mean you are definitely being blocked, so its good not to jump to conclusions. If the person is using the iPhone at that moment, especially if they talking to someone else, they can choose to accept or decline the call. This can explain a call going quickly to voice mail. If the iPhone is turned off or the battery is drained, it may also quickly go to voice mail. The iPhone also has a Do Not Disturb mode, but if the recipient has this turned on, they phone call should still ring through before going to voice mail. If you are getting only one ring and then being sent to voice mail, it probably isn't because of Do Not Disturb. The iPhone has the ability to send read receipts, which means it will let you know if the person actually read the message. Not everyone has this turned on, so it isn't also a foolproof way of telling if you are blocked, but its a good step to find out if you are not being blocked. When you send a message to a friend that has you blocked, the status will quickly turn to 'delivered' on your side, but your friend will never receive the message. Because of this, they cannot actually read your message. Check back after a bit of time goes by. If the status has changed from "Delivered" to "Read," they do not have you blocked. Here's a sneaky trick. You can actually disable Caller ID. In North America, you can do this by dialing "*67" in front of the phone number. You should use this trick immediately after having the phone call go to voice mail after a single ring to see if they answer the "unknown" call. If you are outside of North America, you can check the Caller ID Wikipedia page for the codes to disable it. Not all countries allow Caller ID to be disabled, and even in countries that allow it, Caller ID may not be deactivated on calls to emergency numbers such as 911. You can also disable Caller ID by opening Settings on the iPhone, scrolling down to Phone and turning Show My Caller ID off. But it is far easier to just use the one time code. Also, be aware that this still doesn't mean your friend 100% has you blocked. 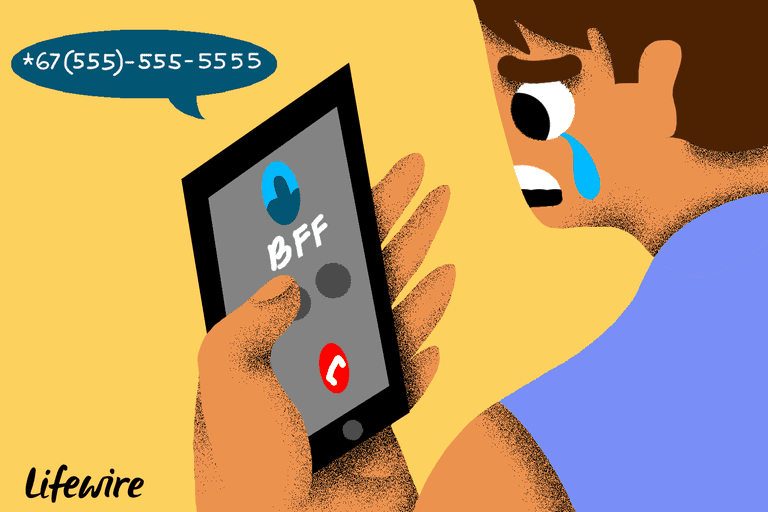 Many people refuse to answer calls without Caller ID, and even if it rings once and goes to voice mail, your friend may have immediately declined the call. Want to be even sneakier? The next time you see the person in question, try calling them. This works best if you are with a group of people and the person has their phone out. If you call and there is no indication on the phone or from your friend that the call in being placed, they probably have you blocked. Remember, a phone in a pocket or in a purse may be on vibrate mode, which is why it is important to catch the person while the phone is out. Let's Find Out If a So-Called Friend Blocked You on Whatsapp!